enterprises, governments and infrastructure providers. Watch the Video[lightbox] TEST YOUR APP NOW! INTELLIGENCE DATA ON ANY MOBILE APP IN MINUTES! Mi3 Security's mobile platform has two key differentiators: the DEPTH of risk intelligence we produce for applications and the SPEED at which we produce the Intelligence. The result is a full 360˚ security view of mobile app threats. 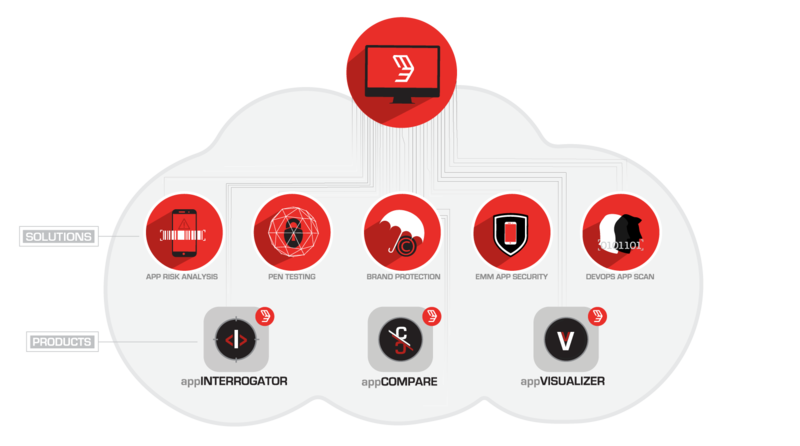 Mi3 Security has spent nearly half a decade creating the RECON Platform to aggregate and integrate mobile threat intelligence feeds across every possible mobile threat source. The platform analyzes everything from malicious Android and iOS frameworks to OWASP Top 10 threats to rogue brand infringement on torrent engines. We heard our customers, and we listened. Mi3 Security has fine tuned the RECON Platform to analyze threats and uncover actionable risk conditions in record time; eleven minutes for iOS applications and six minutes for Android applications, ensuring rapid response for the most demanding app test environments. We respect your privacy. All information is confidential and will not be shared with 3rd parties.